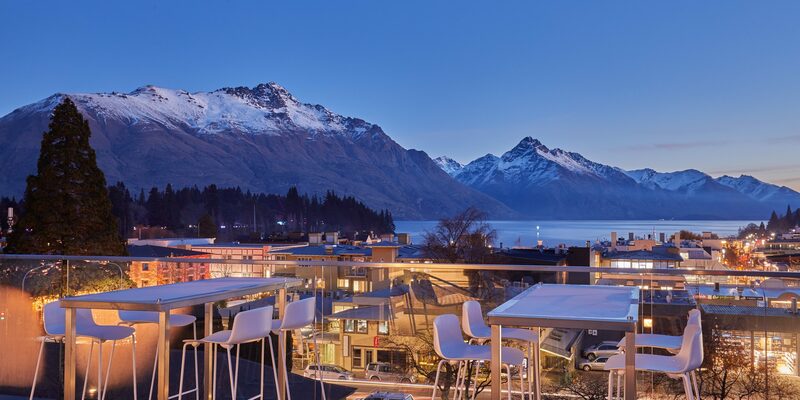 At any time of the year, Queenstown is a magnet for travellers from around the world. They are drawn to its idyllic beauty and gentleness. It’s a town that brings in over two million visitors a year with its warmth and undeniably stunning scenery. Now, it’s opening itself to next generation high-tech tourism. 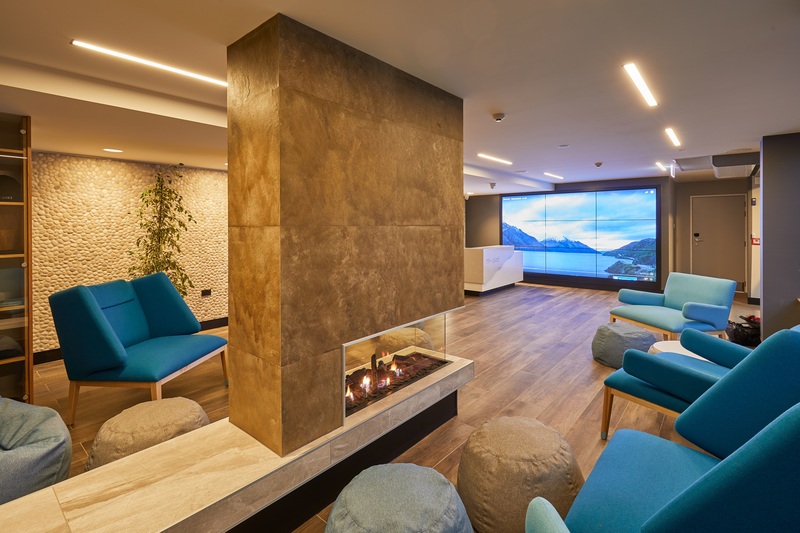 Opened in August this year, mi-pad Queenstown is a place in which energy-conscious technology and experience intertwine in Queenstown. 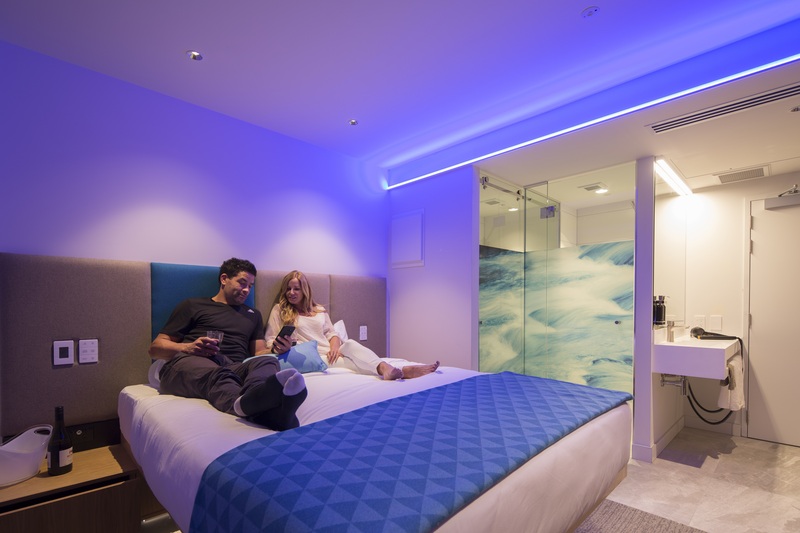 mi-Pad is the first fully ‘smart’ hotel in New Zealand that is surprisingly inexpensive when you consider its outstanding location and impressive facilities. The moment a weary, tired traveller walks through the door, mobile phone in hand, they can conveniently skip the queues and really take control of their holiday experience by downloading the digital concierge, mia, onto their phone. After checking in (with no need to collect a door key) guests can choose between standard, courtyard, bunk, twin, or deluxe rooms. Each are bright, minimalist and modern and are well-equipped with thoughtful touches including smart TV’s, top-of-the-line GHD hair styling tools and clever storage options. 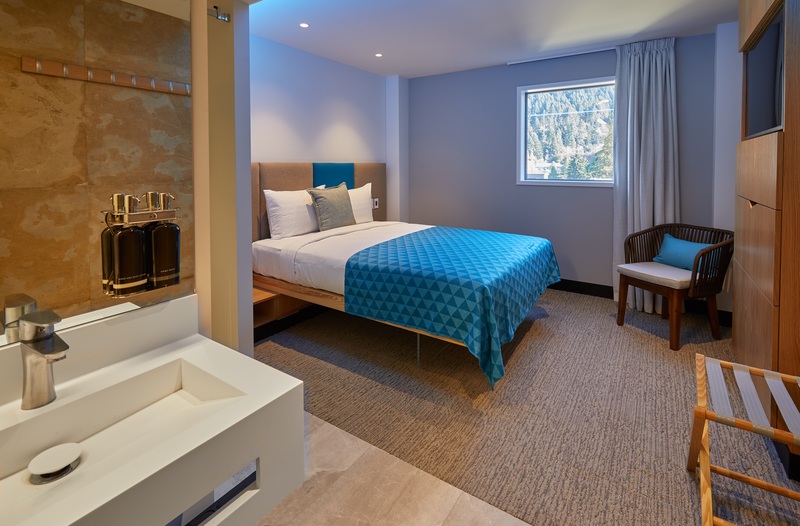 Rooms overlook the tiny township of Queenstown, and guests can use mia to alter the temperature, lighting, and even order room service. Gorgeous social spaces are dotted throughout the hotel including an impressive rooftop terrace with spectacular views and outdoor fireplace, cosy library tech hub and lush indoor/outdoor courtyard. 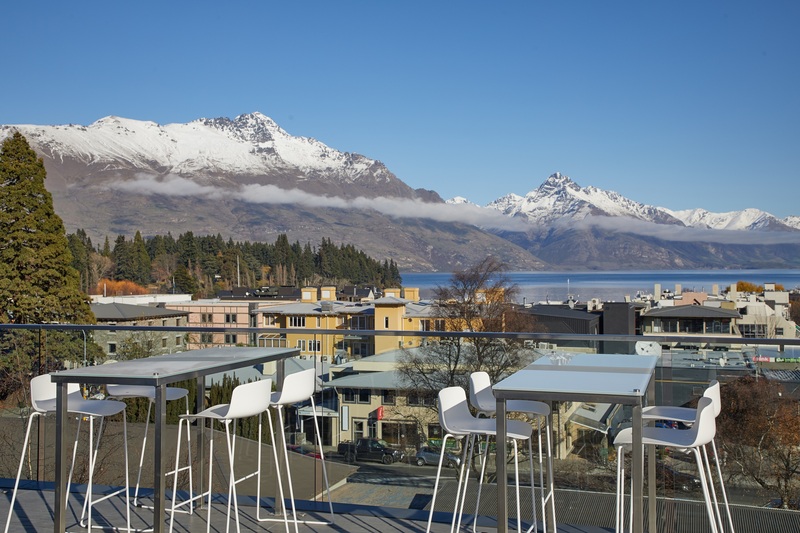 As Queenstown’s vibrant town centre is right on their doorstep, mi-pad was deliberately designed without a restaurant or bar and welcome you to BYO food or drinks to enjoy in their spaces. With the way mi-pad successfully entwines the holiday experience with sustainability and technology, it wouldn’t be surprising to see more mi-pad’s popping up all over New Zealand.